​as well as believing that ​there is a genius waiting to be developed in each and every child! Thank you for being part of this wonderful partnership with us and being passionate in nurturing your child!" ​Zed started his lessons with Heguru since he was 14 months old. He hardly cries during the lessons and in fact, I find Zed enjoys his weekly lessons very much. 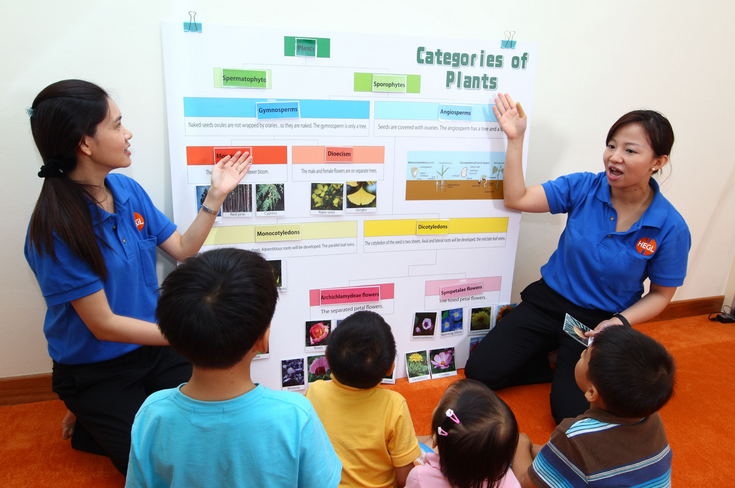 The lessons are fast paced with lots of interactive activities which is important for a growing and inquisitive child. The teachers are well trained. They pay individual attention to the needs of every child. We are happy with the progress and results. Thank you Heguru @ Fusionopolis (Heguru @ Harbourfront Centre + Choa Chu Kang). ​When Tayn first started her classes at Heguru Method, Harborfront Center at 12 months, it didn't take long for me to realize that she enjoys the activities in class, since it's a parent-accompanied lesson. Her engagement in the activities with the teachers was quite apparent as she stood out dancing the moment the music came on. She is highly responsive and understands instructions very well. We have been faithfully attending the classes ever since. 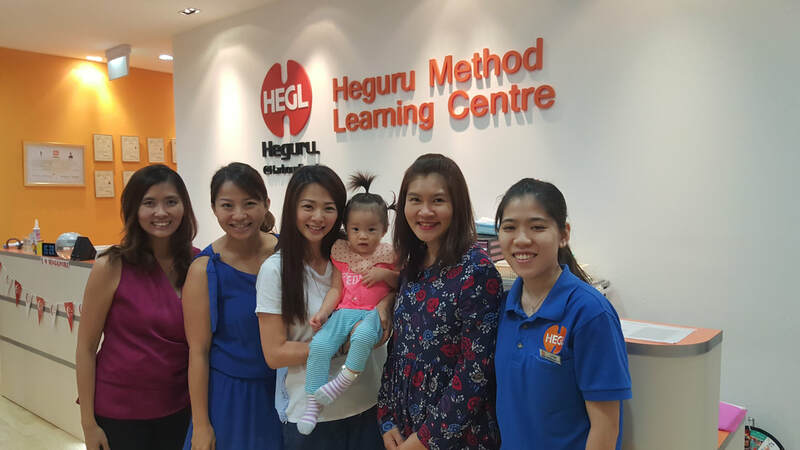 Tayn's learning journey with Heguru Method has shown that the fast paced activities keep her engaged in the lessons. She was interested with most of the hands-on activities and would clap to the beat of the phonics song. She learned the sound of alphabets through the songs. I believe the early exposure to right brain training in Heguru Method enables Tayn to develop better as an all-rounder. We are also very lucky to have teacher Lynn as her teacher. Lynn is committed, smiley and patient while emitting positive energy in class, which is an important factor as a learning ground for a toddler. A big thank you to Heguru Method for this fun and stress-free learning programme. So much thanks! Aden has been to Heguru for more than half a year now. Prior to attending classes there, we heard of other right brain development classes but didn't enroll for them. We were skeptical of its uses and worried that it would give our child too much stress. After a few sessions with Heguru Method, we actually found the class content fun and engaging. When Aden was about one, his attention span was very short, but the teachers used lively body language and speech to capture his attention. Now Aden is able to communicate with the teachers and it is clear that he enjoys the lessons. To me, this is the most important. Aden's learning capacity has also improved significantly. At the age of two, he is able to express himself and understand us with relative ease. This has been really helpful for our day-to-day life. Because a parent is present during class, we can see Aden growing with the rest of the class. Watching them grow together is such a joy. Jaymee looks forward to her class, which is great motivation for me to take her. The lesson is fast paced and structured - this helps to keep her attention so that she remains engaged. I like that there is a bilingual element to the lesson. As she is comfortable with Mandarin, Jaymee finds the Chinese portion particularly fun. Heguru provides a conducive environment for children to be stimulated and engaged, and this would not be possible without an able teacher to lead the class. 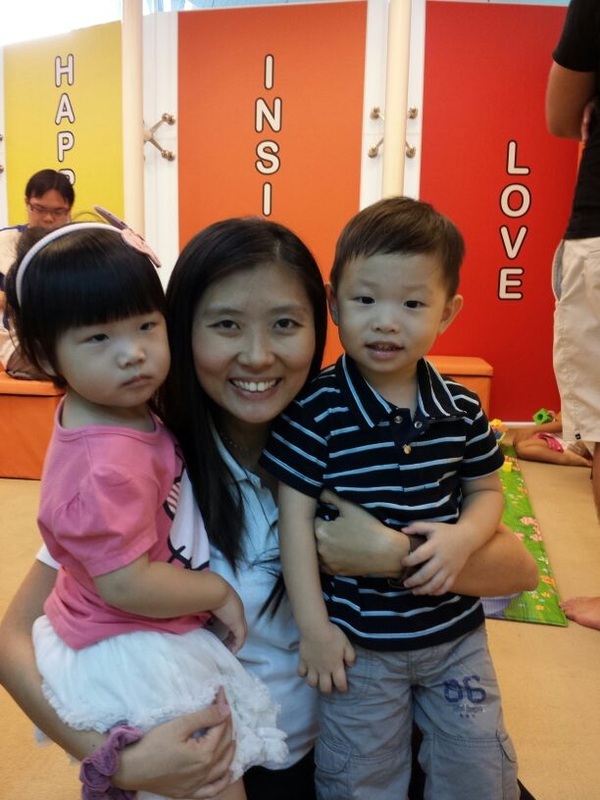 Teacher Eunice easily takes charge, and is firm with the children without losing her warmth and friendliness. Well done! I’ve been wanting to write in to thank your Centre and Teacher Sue for the Heguru programme that I believe both my sons have benefited from. Thank you to Heguru Method Learning Centre! 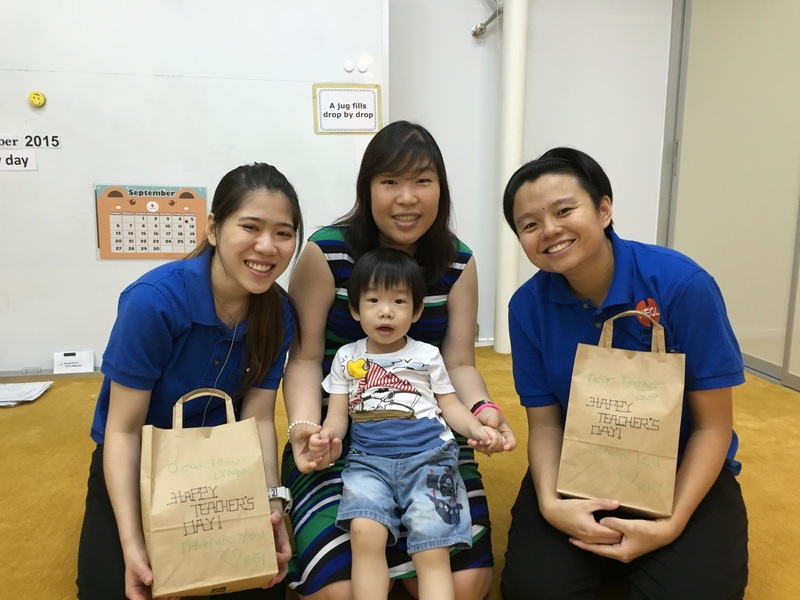 ​Ethan started attending Teacher Jasmine's class last October, when he was about 18 months old and I've seen marked improvement in his ability to focus and concentrate, as well as his confidence in speaking up and speaking in front of a class of students and parents. It wasn't an easy first 2 months, but teacher Jasmine is extremely patient, attentive and kind; and I can tell that she has a love for what she does and a love for the children in her class. She is always very well prepared for lessons, is enthusiastic in her teaching and her energy is infectious. She encourages the children and that spurs them on to learn more. Ethan looks forward to class on Saturdays. Even when he's not in the mood for class, his attitude usually changes to a positive one, once he steps into the classroom and gets into the groove of lessons with teacher Jasmine. My husband and I are very glad that we sent Ethan to Heguru and we've got Jasmine with us on this learning journey. I'm quite encouraged by Ethan’s progress and I'll be sending my younger daughter here too soon. We would like to express our sincere gratitude for all the efforts you have taken during these few months when our Son, Kai De joined Heguru. You have watched him grow from crawling to walking, from babbling baby languages to now speaking a few words. From the method taught to us, we have tried to incorporate in our daily life and we can see improvements in Kai De, from being more focus and being able to understand instructions. We really appreciate your patience in helping him. We thank you again for all the wonderful work you have done. 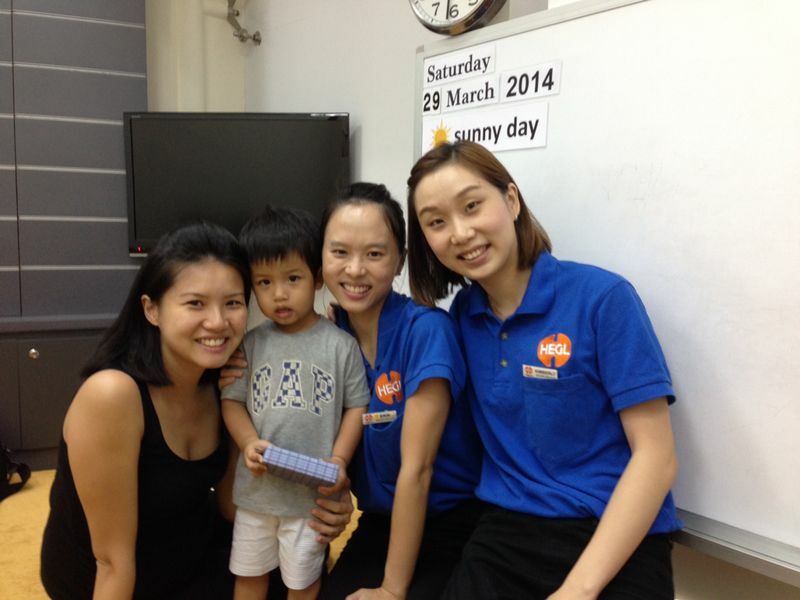 ​Teacher Kimberly is very friendly and encouraging. She is patient and conducts her lessons with energy and passion. She is approachable and would also answer our questions readily, offering advice to help us develop Eliza into a better person. 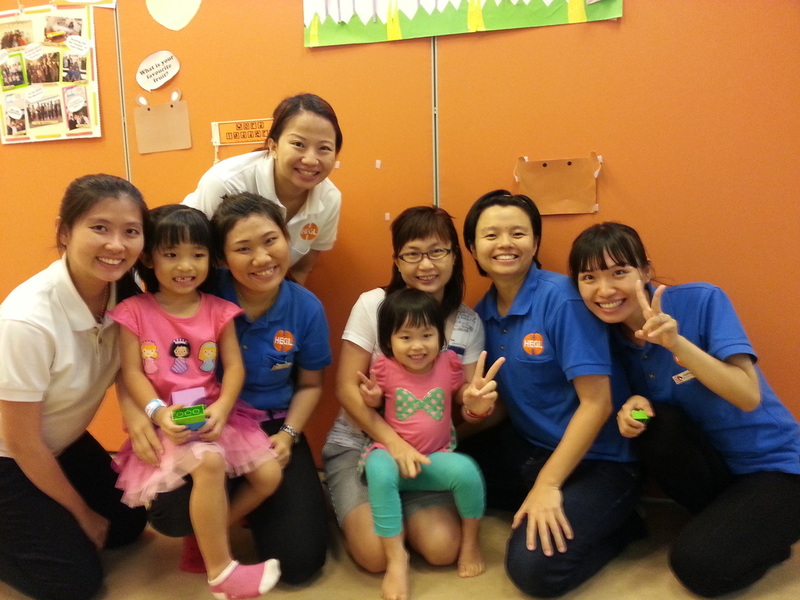 Eliza started her lessons with Heguru Fusionopolis when she turned 17 months. She can speak well under the age of 2 in full sentences. She loves to sing and she can spell her name. Initially she cried during the first few Heguru lessons but she has grown to love the lessons and she can stand in front of the class to introduce her name. Eliza can form her own story and remembers 5 cards for linking memory which amazes us at home. She can do iroita and tangram under a minute and she loves to do Heguru activities. She learns well through songs and would sing the songs she has learnt throughout the day. Kudos to you and your administrative team for hiring quality teachers to nurture and develop the potential of these young minds. My wife and I would like to express our appreciation to teacher Pei Fen for her endless patience and care in teaching and guiding Salomon for the past 1.5 years. 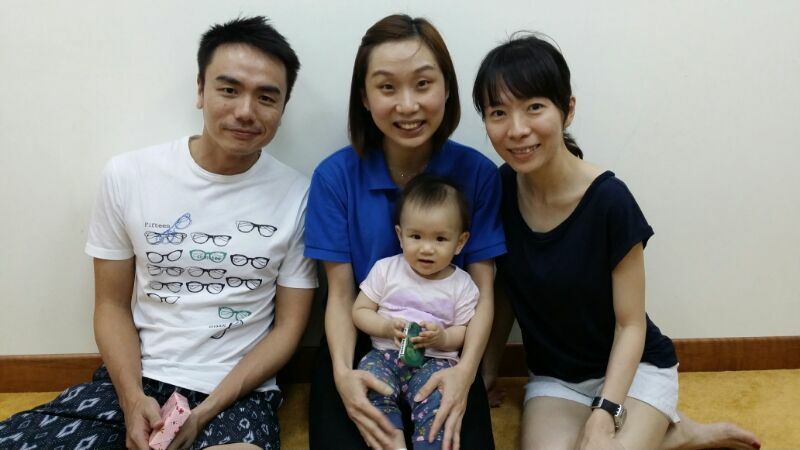 Our son has always been looking forward to class each week and we feel the quality teaching of teacher Pei Fen plays a large part. We also observed our son's mental development through the months no doubt helped by the Heguru program. So a big thank you from both of us. It has been a wonderful journey for Rey since he started lessons with Heguru at about 15 months old. Though young as he is, the teachers and curriculum kept him engaged and attentive throughout the 50-minute session. This is not an easy feat but they still did it. Teacher Lynn... For giving your very best in each class to bring out the very best in Rey. We all see his progress in class if not for your genuine care and effort to keep him engage in class through all the many fast-paced activities. You must have worked hard for the class prep to get all these going. Kudos and this definitely made an impact on his learning journey. Teacher Sue... For being the magnet in class for Rey to keep him assured during lesson time. We love your energy in class which is important for him to love and look forward to go for his lessons. Not forgetting the encouragement you gave Rey when he gave the correct answer or the positive responses in class. These are the boosters for his progress. I would like to express my heartfelt appreciation to Tr PJ for her dedication to her work and also her warmth and personal touch to both the children and parents. Her enthusiasm is contagious and it's clearly reflected in the active and joyful interactions between her and the children in class. Giselle has been with Heguru since beginning of the year and we are truly happy with her progress and the rate of learning. She is able to recite almost 50 cards of linking memory and complete simple tangram and mandara patterns on her own. What impresses us most is her ability to sing the songs (complete with actions!) taught in class after a few sessions. And she loves to imitate Tr PJ in action! 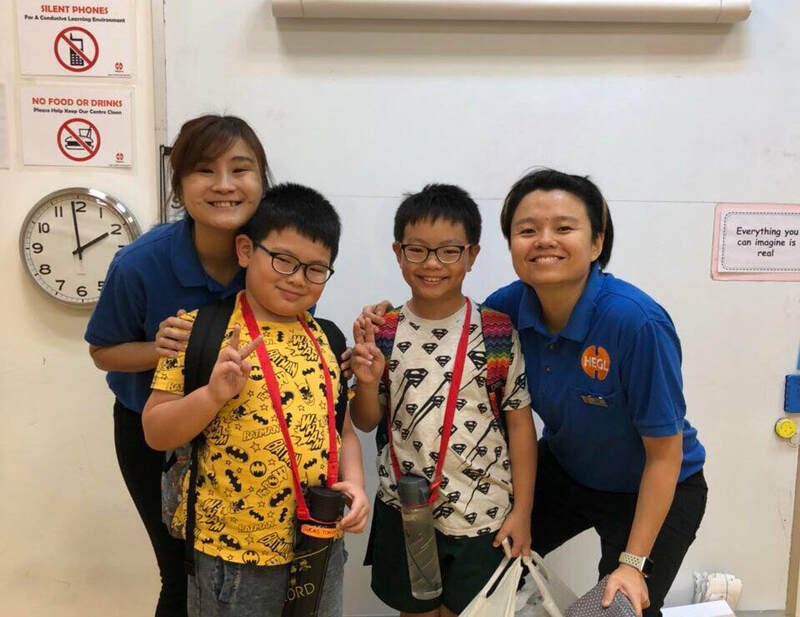 We believe all these lie in the conducive learning environment created by Tr PJ and also her loving care and patience in providing the children with self-confidence and instilling in them a strong love for learning. 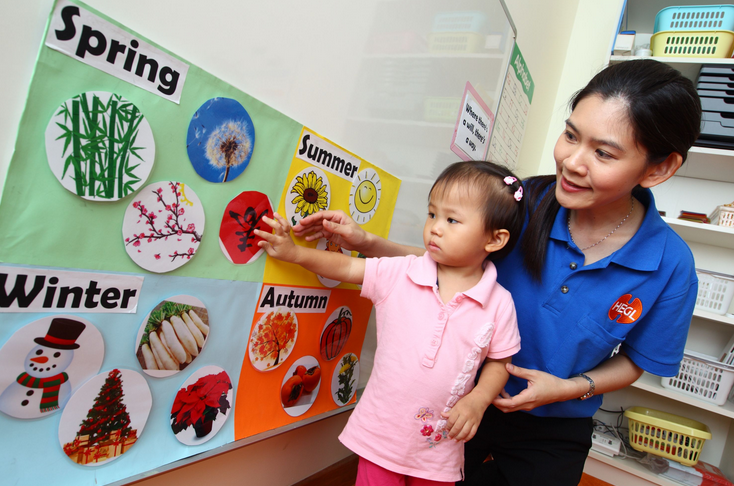 Tr PJ also puts in effort in understanding each child and their different learning styles; and establishing constructive communication with parents. We are happy that Giselle is able to enjoy learning and exploring under the guidance of Tr PJ, thank you once again to her and also the team at Heguru Fusionopolis for your dedication and drive to empower the children to learn and explore in a loving environment. Katea started attending Heguru classes earlier this year, when she was still crawling and hardly talking! Barely a couple months later, she goes to the front of the class willingly to say her name aloud and talks in almost full sentences. She looks forward to class every Sunday and loves to practice linking memory and the activity How Many when we're home. She constantly surprises us with things and words that we didn't even realise she knew,, like identifying all of her classmates. 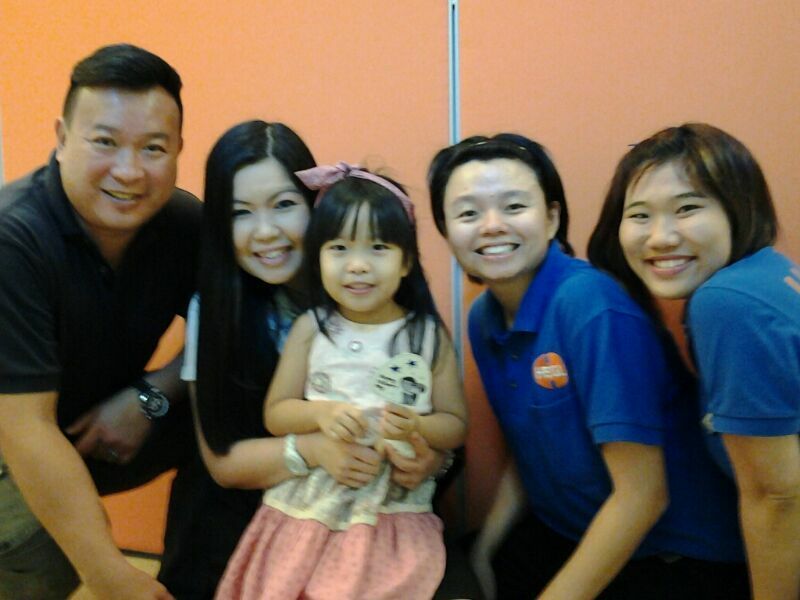 Katea definitely loves her teachers, Eunice and PJ, who are patient and engaging - she asks to see her photo taken with them all the time! My twins, Janelle and Jena started Heguru learning in Dec 2013. Although they have been in the class for about 6 months, I am truly happy with their progression. I have realised that they are quicker in learning and remembering things. They also enjoy their class very much. Teacher Erin is a very patient and wonderful teacher, her encouragement spurn my twins and me as well! She also guide me on how to better teach my twins through use of flashcard, songs etc. I will really like to thank Teacher Erin for her commitment and her patient. Teacher Kimberly is also a very nice teacher; her smiles brighten my twins' day. These 2 videos show my twins reciting Tang poetry, first one, "Qi Bu Shi" is by my younger girl, Jena and the second one, "You Zi Yin" by both my girls. Amazingly, they learn both poetry in less than 2 days, in less than 4 hours. Click here to watch Janelle and Jena in action. Tiara and I enjoy being in Teacher Sue’s class and having her as our teacher. We are learning a lot in her class. One thing that comes to my mind is the energy of the class that comes from Teacher Sue and the method of teaching that teacher Sue brings. I believe learning is all about fun too! Teacher Sue is professional in her work, outspoken, clear in words/ pronunciation and she shows great interest in children. She never fails to deliver her teaching skills to the class. Tiara believes in her teachers and that is the first thing I look out when putting my child in extra curriculum classes. Every Sunday, Tiara looks forward to her class. I am also grateful for the teachers in Heguru who showed personal concern when Tiara did not turn up for 3 consecutive weeks in May 2014 when she was ill. Teacher Sue is a very promising teacher and we are really lucky to have her in our class! Teacher Rachel was assisting teacher Su’s class at some point of time and I found her to be bubbly and she coordinated the class very well. She brings fun and works well with children. She is likeable, caring and plays a good supportive role who demonstrate love to children in Heguru. I was always looking forward to seeing her in Teacher Su’s class because I find they make a compatible duo and they demonstrate fun and professionalism in the class when put together. I am glad you have teachers like her because they make the class fun and interesting. My husband and I would like to thank Teacher Kimberly for her patience with Shiya and her understanding towards parents. We see progress in Shiya's learning development. Teacher Kimberly has also shown great empathy for working parents. She listens to our feedback and diligently lists the Chinese poems, different breeds of rabbits for flash cards amongst others on the parental guide weekly. Appreciate such initiatives as it really make lives of working parents like us easier, saving us time and improving our efficiency. This also shows that her beliefs and actions are consistent and professional. By doing so, its reinforces her constant teaching that the children should be taught on a regular basis and not just one a week during class. I am writing in to commend Teacher Erin. She is one of the most dedicated teachers that we have experience with right brain training throughout the past one year. She is very observant and enthusiastic during class and will give advice to individual parents in terms of home practice and how we can help our children improve, always tailoring her advice for different children. We are very happy with Ethan's progress as he has displayed qualities that far surpass the peers of his age. 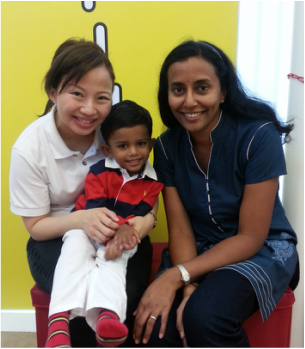 Ethan started to speak in short sentences at 18mths old and has very good memory. He is able to reproduce a set of cards verbally after flashing to him three or four times. Recite 6 to 8 Tang poems and translate some individual words from the poems into English on his own (he actually did it for fun). Recite first twenty verses of San Zi Jing. Now at 25mths, he is able to do simple Tangram, Iroita puzzles without help and answer higher order questions like "Why" and "How". 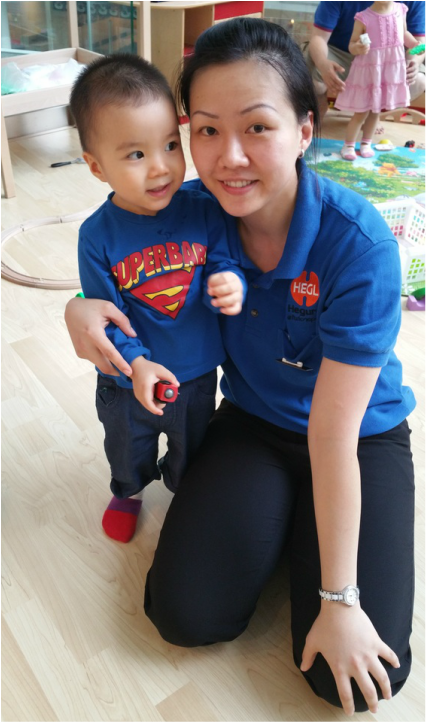 Ethan Is very fond of Teacher Erin and Teacher Kimberly and talks fondly of them at home. Every Friday he would say “Tomorrow is Saturday! Heguru!" We are thankful for the dedication and competency from both teachers and Management. We would like to thank Teacher Erin, Teacher Kimberly and the management of Heguru from the bottom of our hearts. I always believe that no matter how fantastic the method is, it is the human touch that makes the difference! It is you guys that make Heguru at Fusionopolis different from any other Right brain schools. This is probably the only academic enrichment programme we enrolled our girls. The only reason is to develop their right brain which correlates to creative thinking. Something we believe to be helpful in their life. As we believe that learning starts from play. We looked for a warmth and sincere kind of environment. Preschoolers needs to feel relaxed, feel at home for learning to begin. There should not be a drag to them. We started classes at Heguru @ Fusionopolis and the girls look forward to their classes each weekend. Whenever we reached the centre, we would always be welcomed by the warm smiles from the teachers. Many a times, they are welcomed with hugs from the team of teachers. 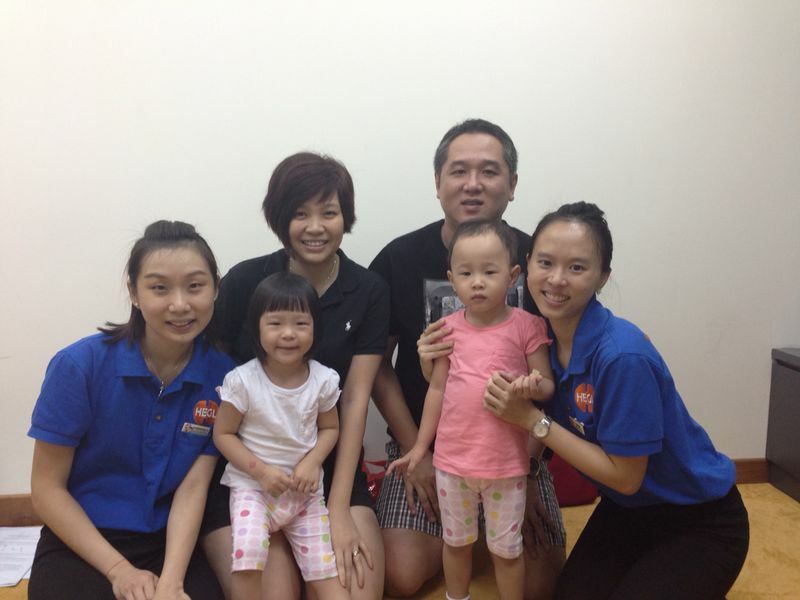 Teacher Claire's warmth and sincere personality made us feel at home. We will look forward to seeing her smiles which is pretty contagious. We could feel teacher Sue's passion in her teaching, her undivided love for each student in her class. Frankly we ourselves look forward to attending her classes, that goes the same for my girl. And yes, even our memory improved. Together with the principal Agnes is simply a GREAT TEAM who makes much effort to ensure each kid is happy and learn something. To date, its been a year, we have seen them exhibit better values, better memory and logical thinking. They are also getting more creative in the way they communicate. I really enjoy the lessons, Its really activity packed within that 1 hour.. Fast paced and very interesting. Esan loves to attend Heguru classes. In fact, he will regularly say "we are going to Heguru class". I will have to say Heguru class is only on Fridays. He likes the pace and the variety of things taught in class. He is very involved during class, answering teacher's questions and participating actively. At home, he loves to practise peg memory cards and other things we have learnt from Heguru. Thank you for making my son excited to come to Heguru every Friday. "This program is very good and we believe it will help to set a good foundation for the child when she moves on to Primary School in the near future."